This is the one of my assignment, which is introduce the 3D printer. In our world, we need technology and also technology bring us convenient life. The 3D printer is the most popular technology product, and my assignment introduce the basic information of the 3D printing. 3D printing is a process of making a three-dimensional solid object of any shape from a digital model, and created three-dimensional parts through an additive layer-by-layer process. 3D printing is different from traditional matching techniques, it mostly base on the removal of material by methods such as cutting or drilling. The 3D printing technology is used in jewellery, footwear, industrial design, architecture, automotive, medical industries, and many other fields. For ProJet 6000/7000 Materials, it prints the highest quality parts available, delivers the toughest production applications and has wide range of engineered functional materials. VisiJet Flex is a Polypropylene-like look and feel and High flexibility material; VisiJet Tough is ABS-like performance and high durability and impact strength material; VisiJet Clear is a polycarbonate -like look and feel, stiff and durable, and USP Class VI capable material. VisiJetHiTemp is a high temperature resistance to 130°C+ (266°F+), humidity and chemically resistant, long term stable properties material. VisiJet e-Stone is amaterial for extreme accuracy and repeatability, mechanical properties optimized for dental models, replaces dental stone for Orthodontic working and study models and it is the Ideal for crown and bridge restorations. VisiJet Black is a material for exceptional surface finish and high definition accuracy. VisiJet Jewel is a material for direct casting of jewellery patterns, it models requiring high detail and excellent resolution and accuracy. 1. Nike Company use 3D Printing to made the Vapor Laser Talon soccer Shoe, it is the first shoe by manufacture that to use 3D printing for product. 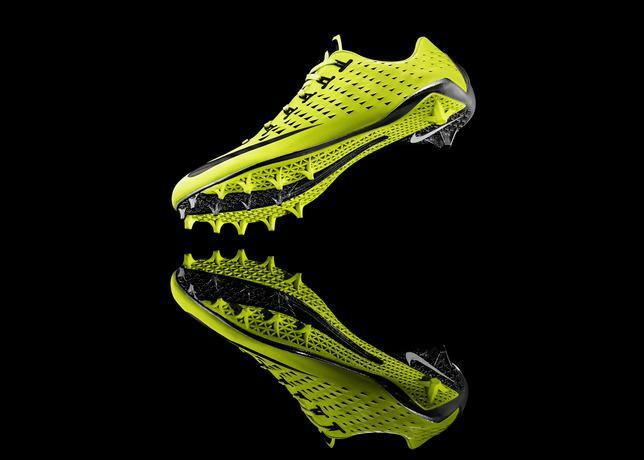 The Nike Vapor Laser Talon is 3D printed using selective laser sintering to produce an ultra-light weight football shoe and it only 159 grams of weight. The New 3D printed shoe is contoured to allow soccer athletes to maintain their drive position longer and more efficiently, helping them accelerate faster. 2. Nokia Company uploaded a design for the shell of a Nokia Lumia 820 that can be 3D printed. We can see at MakerBot and took the liberty to adapt the design to work perfectly on the MakerBot Replicator 2 Desktop 3D Printer. 3. 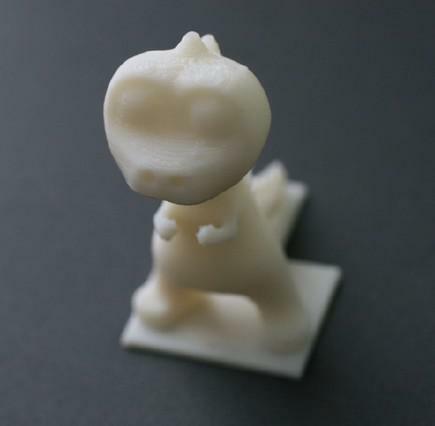 NFC Company Flomio provides a new service that embeds an NFC tag into a 3D printed model custom designed by you. The make process is simple; you just send Flomio s STL formatted file of your modeled project, and choose the size; NFC tag and plastic color. Then if you agree the price of Flomio, they will point out your model, tag it, test it and sent to you. This service marks a beautiful blending of smart technology and 3D printing. 4. 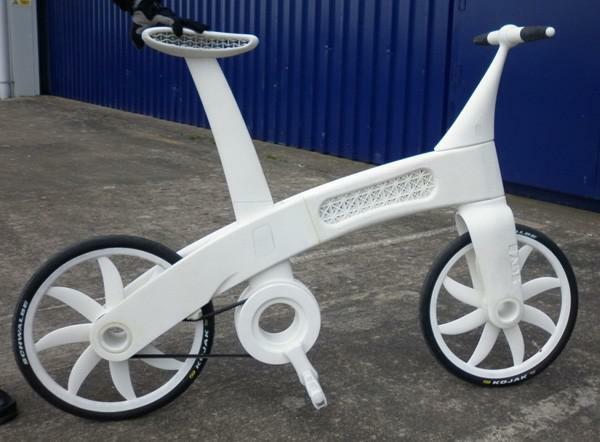 EADS (European Aerospace and Defence Group), the Air-bike is grown with nylon powder using a process called additive layer manufacturing, which 3D printing. This way the parts can reduce 65 percent in weight while at the same strength of steel or aluminum. However EADS does say there are still some ways to go before we can print our own custom bikes. 5. MakerBot Industries is a Brooklyn, New York-based Company; BrePettis, Adam Mayer, and Zach Smith producing 3D printers. MakerBot builds on the early progress of the RepRap Project at the goal of bringing desktop 3D printing into the home with an affordable price. MAKERBOT REPLICATOR is a full-featured desktop 3D printer in your home or office: A super flat build plate, a draft-blocking enclosure, and completely re-engineered dual extruders. What are the challenges it will create? The 3D printing is the best known for creating colourful toys and models; however enthusiasts are working on design files that would allow anyone to print a working gun. The attention get increase on printable guns comes as Defense Distributed is approaching a firing test, said by Cody Wilson, who is a University of Texas. That is on the outcome of those testing, 3D-printing companies, file-hosting sites, and law enforcement and legislative groups may have to tackle a challenging set of questions regarding the manufacture and regulation of firearms. The 3D printing is still making that transition. The material costs to print a 3D wrench could costs hundreds of dollars to print. The ink cartridge equivalents of today’s printers are extremely expensive—about $5 for each cubic inch of thermoplastic material. The machine itself is another $20,000 to $50,000 dollars. Before 3D printers become household appliances, they will revolutionize retail. By reducing product shipments to stores with in-house 3D printers, companies will drastically improve their supply chain efficiency. The 3D printing is quickly becoming an industrial revolution. But, piracy threatens the livelihood of both professional designers and brands. Illegal design blueprints are being distributed online and a number of cease-and-desist orders have been issued to websites allowing this new form of piracy. FABULONIA provide a new approach is presented at Mobile World Congress at Stand 8.1C40 and is the answer to how to foster the creativity of 3D printing and it can protect the intellectual property of designers. For now, Patent holders may see 3D printers as threats, and they may try to sue makers of the printers or the distributors of Computer-Aided Design blueprints, the paper from digital rights group Public Knowledge. However there are no real legal challenges to 3D printing now, some may come as the technology becomes more popular. The proposed Anti-Counterfeiting Trade Agreement (ACTA), with 37 nations negotiating new intellectual property protections, could make it more legally difficult to reverse-engineer products in a lot of countries. The CAD which called Computer-Aided Design, the 3D printing was lack of CAD skills. To print some models, you normally need a model created in CAD software. The skills for creating 3D models have a high initial learning curve, and hence there are not many designers out there. 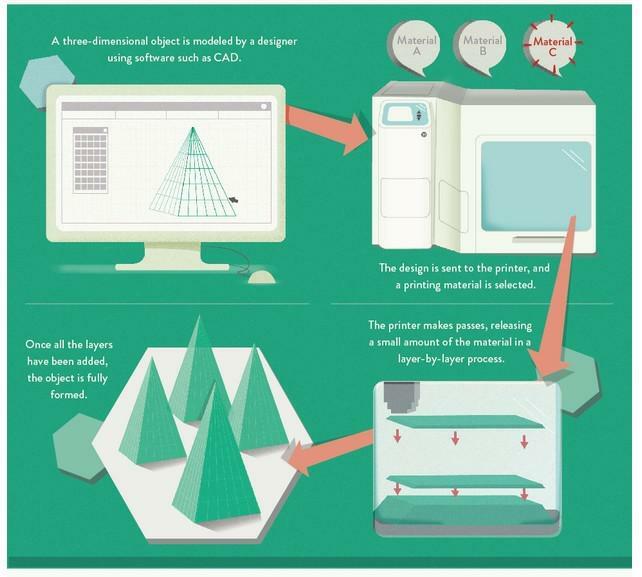 Thus we need more people designing so that there are more things to print.